Jessica picked Ultraviolet by fictional band, The Stiff Dylans and Rosie picked Belle & Sebastian’s Nobody’s Empire. Ask to see the Captain at Cahoots. I love the Buttery Biscuit Base. You can learn more about M.E. Awareness Week from Action for M.E. Obviously cannot be expected to write an essay on Oz without appropriate nails. At The Toast, women are having a terrible time at parties, trying to politely end conversations, and being reminded that they are not Elizabeth Bennet. Woollen Woods are in bloom at Arlington Court. 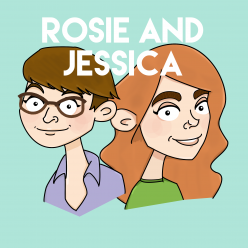 Rosie was on Friend of the Show Lucy’s podcast Symphonies and Snacks making almost salient points about contemporary classical music. This is the best sloth.